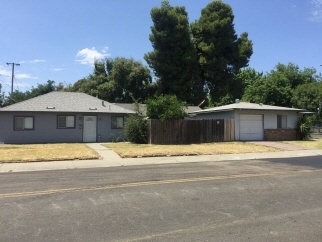 Description: Rare investment opportunity with two houses on one lot. One house is 2 brm/1 bth with new counters, new gas stove, new carpet,new bathroom floor,new shower insert, newer roof, patio. Inside laundry. House on corner is occupied, slightly larger, with 2 brm/1 bath/1 garage, patio, laundry hookups in garage.